Mortgage brokers are licensed mortgage professionals who work independently with multiple wholesale lenders to deliver a wider range of mortgage products directly to you. Mortgage brokers offer as many loan products as lending partners they have, giving them the ability to do the shopping for their clients and find the most favorable terms to meet their goals. 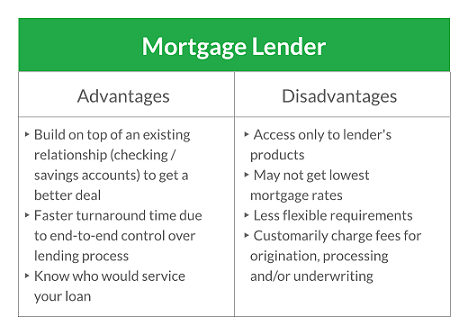 Because they often have access to overlapping products from different lenders, they’re able to consider additional factors like ease of process, turn-times, and (of course) interest rates and fees. Why pay for a retail lending process at a cost set by the lender when you could work with a mortgage broker who offers wholesale rates and costs and is able to choose their own margin based on their business needs? With competition among mortgage brokers increasing, many have chosen to keep their margins razor thin, and their clients benefit directly from this. 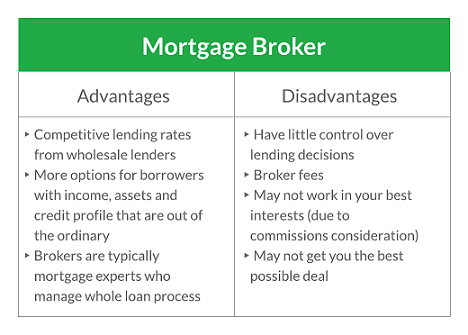 Mortgage brokers are uniquely suited to finding loan solutions for more complex scenarios because if one of their lender partners says “no”, they can continue to search for options with other lenders. If anything about your income, assets, or credit profile are out of the ordinary, working with a mortgage broker who understands self-employment income, rental property ownership, and asset-based lending for retirees could be a real benefit. At this point, you might be wondering if it will cost you anything extra to work with a mortgage broker. Brokers can choose between being lender-paid or borrower-paid when it comes to their compensation. For lender-paid compensation, they build their fee into the loan pricing and receive payment from the lender once your loan funds. For borrower-paid compensation, they charge a broker fee or origination fee that’s paid from the proceeds of the loan. While many Americans know the advantages of wholesale shopping at membership clubs like Costco and Sam’s Club, many of us don’t stop to consider the benefits of wholesale mortgage lending. Mortgage brokers are the key to accessing wholesale mortgage products from some of the largest lending institutions in the US. Mortgage brokers are typically mortgage experts who have experience managing and coordinating the whole loan process for their clients. This level of service and attention to detail can help you close your next loan faster than with a traditional bank. Many wholesale lenders launched their own retail lending channels as well, following increased industry regulation in recent years. Despite this, their product and price offerings often can’t compete with what’s available through their traditional wholesale channel. Since mortgage brokers aren’t funding your loan themselves, they have to rely on their lender partners for underwriting approval. The decision making process might ultimately be out of their hands once they submit all of your loan information for review. There’s no guarantee that you’re receiving the best possible deal — just the best possible product that your mortgage broker has access to. Mortgage brokers generally partner with several different lenders and develop their working relationships with just a few. It just wouldn’t be feasible for them to check every loan scenario with hundreds of different lenders (though several fintech start-ups have endeavored to do just that with the help of technology). Direct mortgage lenders are the banking and lending institutions that provide mortgage money directly to their clients. Direct lenders offer their own specific product set of home loan options. They determine their margins and calculate their overhead, pricing this into the interest rates they offer directly to their clients. Every lender determines which products they will make available (and at what interest rate), based on their business needs. Why rely on a middleman mortgage broker when you could get your next home mortgage right from the source? If you’re willing to do your own research and shopping, you could find a mortgage product and lender who meet all of your needs and goals and deal with them directly. If there’s nothing out of the ordinary about your mortgage application and your scenario fits neatly into Fannie Mae and Freddie Mac guidelines, then the efficiency of working with a direct lender would serve you well. Your new home loan could quickly roll off of their assembly line in a matter of a few weeks. You are a wage-earning employee who receives regular pay stubs and W2 forms at the end of the year. Your tax returns aren’t overly complicated with self-employment income or multiple rental properties. Your assets are a stable mix of checking, savings, and retirement or investment accounts that will only be used for downpayment or reserves. Your credit scores are in the good to excellent range, and your credit profile doesn’t have collections, judgments, or other derogatory information reporting. You’re looking for a specific mortgage product that you know they offer (like a 30 year fixed or a 7/1 ARM). Working with a direct lender who also handles your banking relationships or investments could mean you’re eligible for exclusive products and pricing, including discounts to both the interest rates and lender fees. Often, direct lenders control the entire loan process from end-to-end and this can be to your advantage. When origination, processing, and underwriting are all working together towards the goal of closing your loan, having everyone on the same page makes for a smoother, faster process. If it’s important to you to know who your loan servicer will be, direct lenders can often tell you if they’ll hold onto your loan long-term or if the servicing will be transferred to another company. Since many of the complaints the Consumer Financial Protection Bureau (CFPB) fields are related to loan servicing, this could be more important than you think. Direct lenders sell only their company’s loan products, and this means you may not be able to find a tailored loan option. At best, this could lead to extra time spent researching and talking with lenders to get the best loan product. At worst, you could shop yourself into indecision trying to find a loan that’s “just right”. Since they underwrite and approve your loan application in-house, if there’s an issue with your income, assets, or credit that they can’t overcome, your loan could get denied and you’ll have to start over somewhere else — costing you time and money. Direct lenders build their overhead into their product margins as well as customarily charging fees for origination, processing, and/or underwriting. These markups are where the term “retail lending” comes from, and they can really add up. You don’t have to choose between working with a mortgage broker and a direct lender; have conversations and get quotes from both to see what’s available to you. Do diligent and thorough research, no matter which mortgage lending option you choose. There’s no substitute for being well-informed. It may be more beneficial in the long run to select a broker or lender with a stellar reputation, rather than simply the one with the lowest rates or fees. Reliability, dependability, and accountability are all -abilities that can make or break your overall experience. Where possible, compare loan options side-by-side by using the official Loan Estimate form. It’s a universal form, used by all lenders to present their loan details to you in a way that’s supposed to be easier to compare.